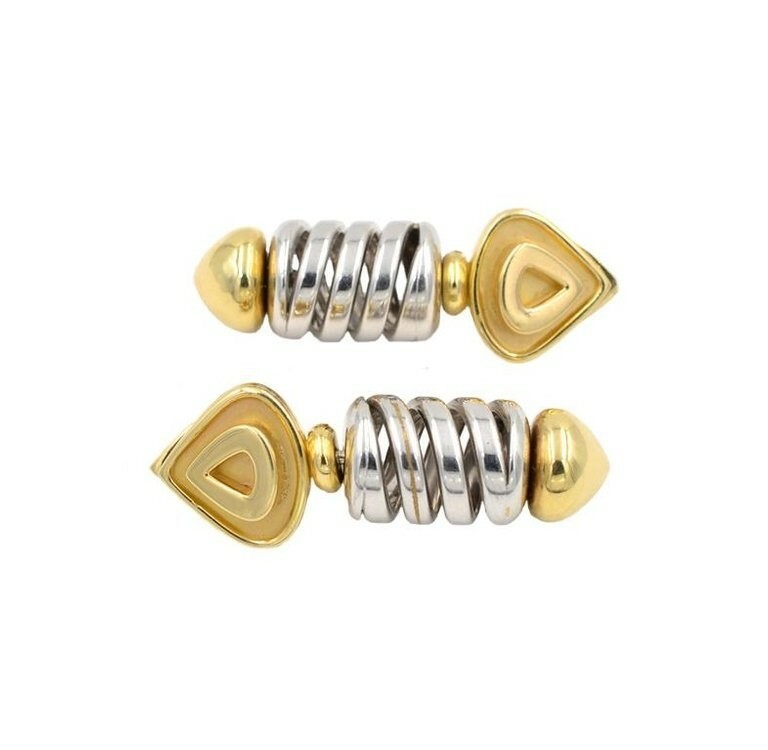 Marina B 18 karat yellow and white gold earring clips from circa 1980s. 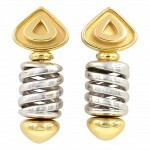 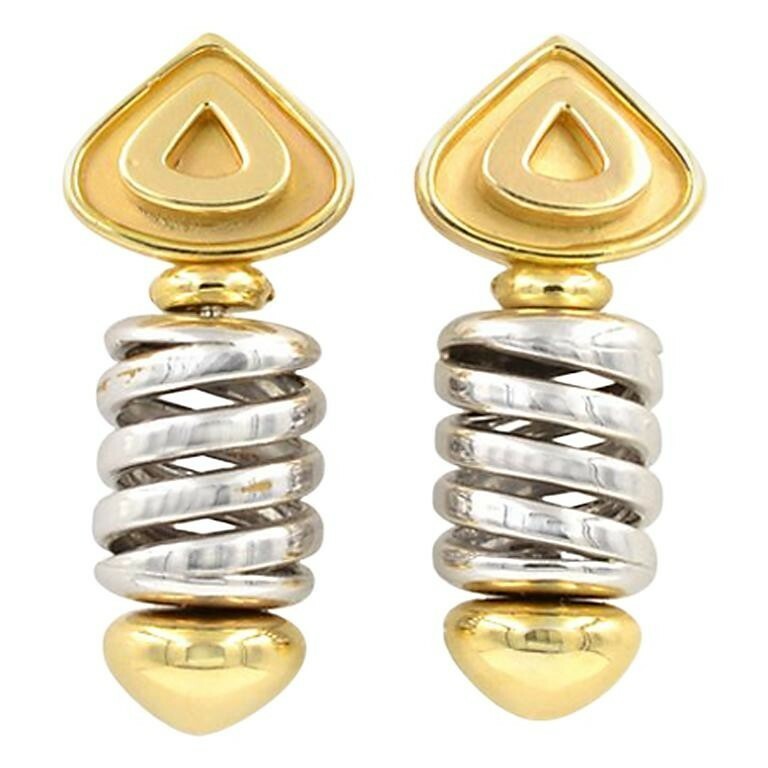 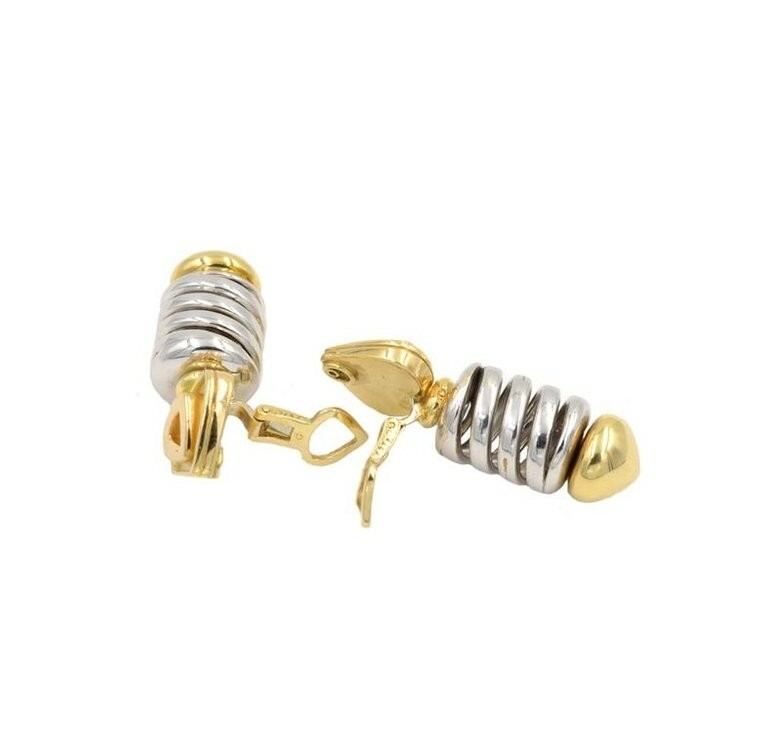 The earrings feature a triangular yellow gold top on a white gold spiral and a yellow gold bottom. 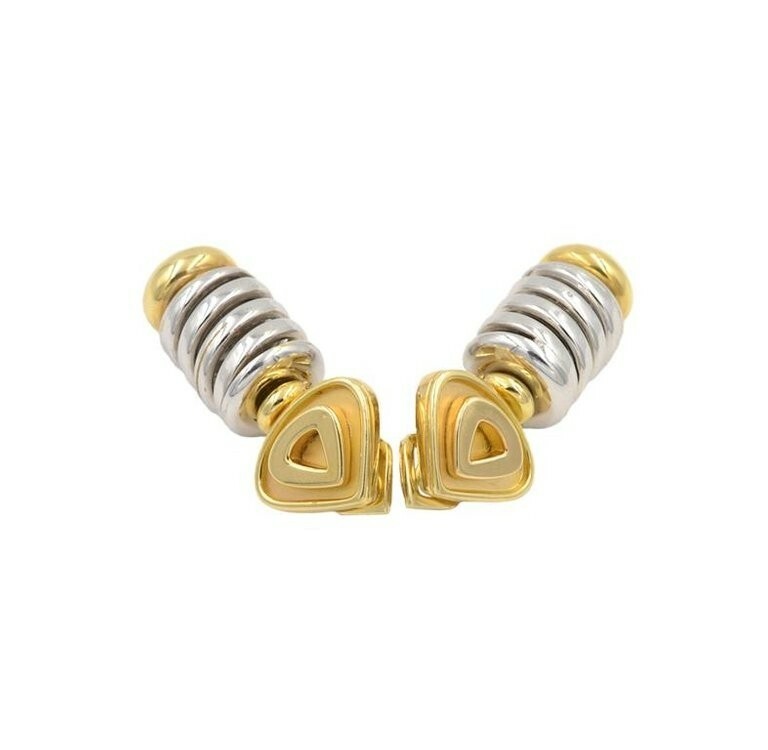 Marina B signed and numbered. 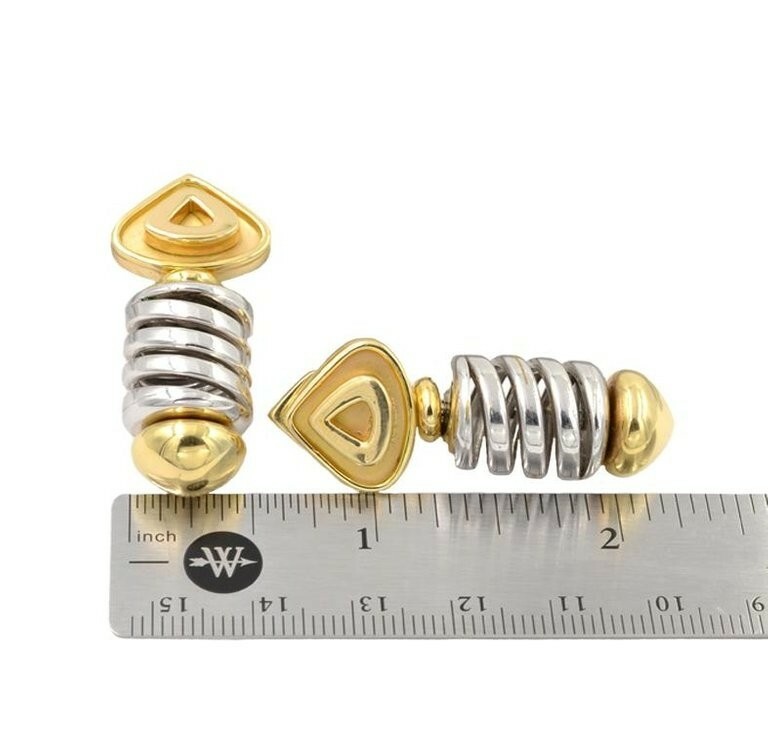 These earrings measure approximately 1.60 inches in length, 0.69 inches in width, and 0.54 inches in depth.